TMC Recruitment 2019 - Walk in for Sr. Research Fellow (Medical) Post in Department of Atomic Energy, TMC, Mumbai, Maharashtra. Candidates are invited by Tata Memorial Centre to attend walk-in-interview to be held on 03 May 2019 at 09:30 AM for 1 vacancy. Eligible candidates may appear for interview along with duly filled application form in prescribed format and self-attested copies along with Bio-data, recent passport size photograph, xerox copy of Pan Card, original certificates, experience certificate and one set of attested copies of all certificates. and original documents for verification. TMC Recruitment 2019 - Walk in for 70 Adhoc Nurse Post in TMC, Varanasi, Uttar Pradesh on Ad hoc Basis. Candidates are invited by Tata Memorial Centre to attend walk-in-interview to be held on 04 May 2019 from 09:30 AM to 11:00 AM for 70 vacancies. TMC Recruitment 2019 - Apply Online for Assistant Professor & Asst Medical Spdt Posts in Department of Atomic Energy, TMC, Mumbai, Maharashtra, Visakhapatnam, Andhra Pradesh. Online Applications are invited by Tata Memorial Centre from 10 Apr 2019 to 30 Apr 2019 05:30 PM. TMC Recruitment 2019 - Apply Online for 13 Personnel Officer, Technician & Other Posts in Department of Atomic Energy, TMC, Mumbai, Maharashtra. 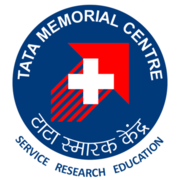 Online Applications are invited by Tata Memorial Centre from 10 Apr 2019 to 30 Apr 2019 05:30 PM for 13 vacancies. TMC Recruitment 2019 - Apply Online for Assistant Professor, Medical Supdt & Other Posts in TMC, Uttar Pradesh on Contract Basis. Online Applications are invited by Tata Memorial Centre from 05 Apr 2019 to 26 Apr 2019. TMC Recruitment 2019 - Apply Online for Advanced Diploma In Medical Imaging Technology 2019 in TMC, Mumbai, Maharashtra. Online Applications are invited by Tata Memorial Centre from 03 Apr 2019 to 17 May 2019.